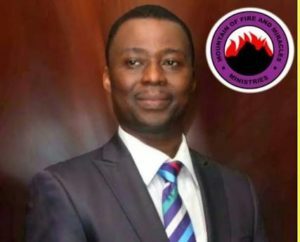 General Overseer of Mountain of Fire and Miracles Ministries Worldwide, Dr. Daniel Olukoya has warned faithfuls that for their survival this year, as he prophesied, they will need to make strange prayers which they may not be comfortable with. The cleric made the prophecy in a statement on Monday Night during the cross-over service of the church at the Prayer City along the Lagos-Ibadan Expressway. Pastor Olukoya stated that the need for such prayers was based on his description of 2019 as a year of many strange happenings. Olukoya further prophesied destruction for people trying to get rich through satanic means while also decreeing that sexual perverts would receive a “death blow” from “sanitising agents”. He further called for serious prayers “against the rage of the waters” in 2019.